Finished up the first block of Saurus Warriors. I want to do another 20 to give me the options of running two blocks or one big block of 40. The next block I will build with hand-weapon and shield rather than the spears. 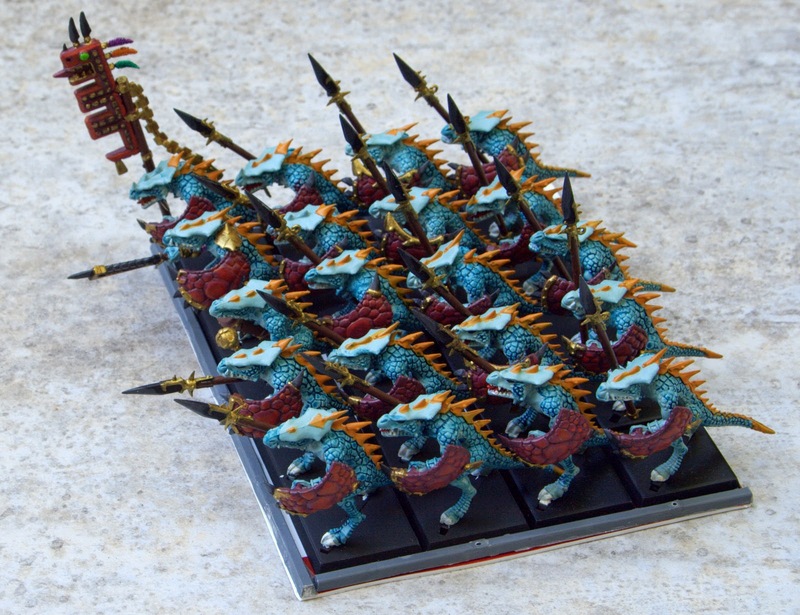 I painted up the first ten Saurus Warriors for my Lizardmen army. I went with a lighter blue/green color for the skin versus the skinks, but pretty much kept the rest of the colors the same. I can’t wait to see this army develop as I think it will look very striking when done. 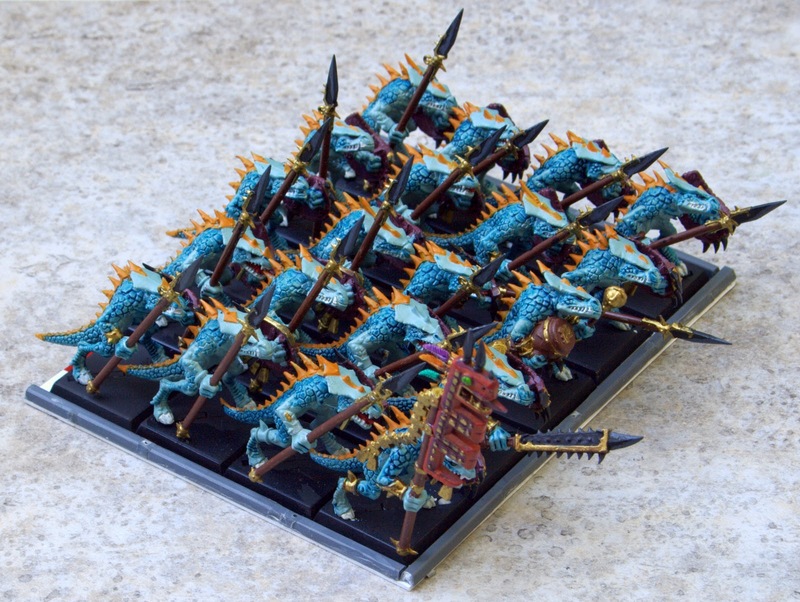 Here is my first unit for my Lizardmen army. I haven’t enjoyed painting the High Elves so I am selling those and picking Lizardmen up. I just love the variety of models and the character of the army. I will be having each unit type be a different color and get a nice range of colors inspired from poison toads to dinosaurs.